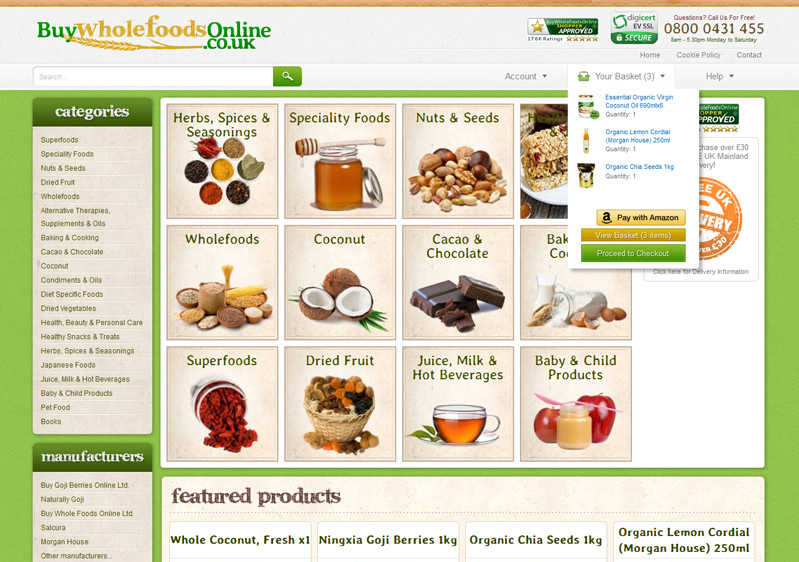 BuyWholeFoods is a UK family business on selling natural food. 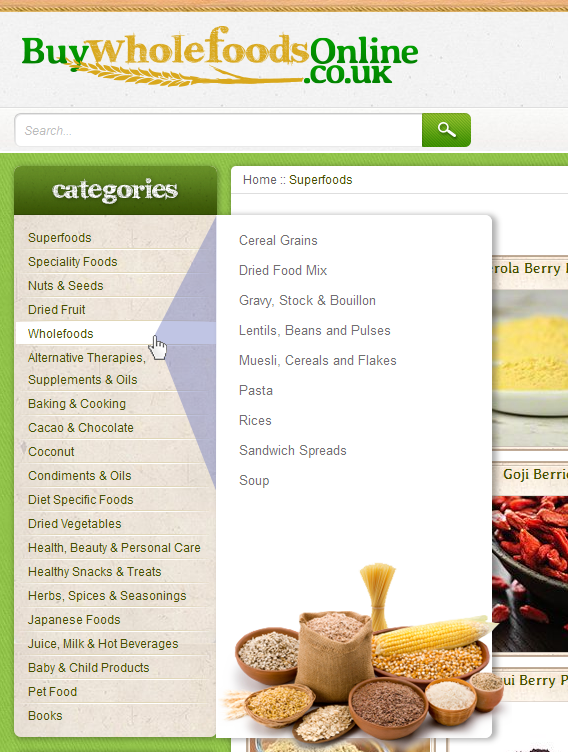 We did our best for the brand: we renewed the platform (to Magento Enterprise), designed interface and created a unique design corresponding to the concept of healthy eating. 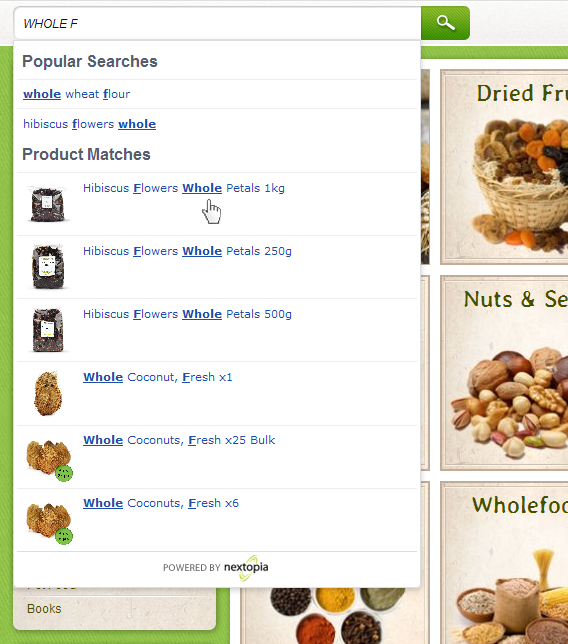 BuyWholeFoods is a family run online-shop of natural food supplying the healthy products all over Great Britain. On the basis of natural colour palette we designed a simple interface. We made a nice looking and functional online-shop just in few weeks. We developed a drop-down menu in Amazon style with jQuery plug-in where the hover-effect in the drop-down menu is produced fast and without any delay. 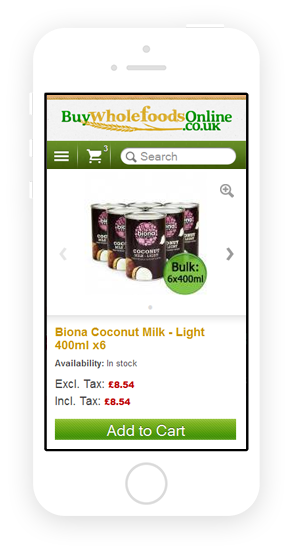 Embedded Nextopia full-text search platform has the following basic features: sorting the search results on price, rate, brand, colour or any other classification as well as the synonym and misspelled search. 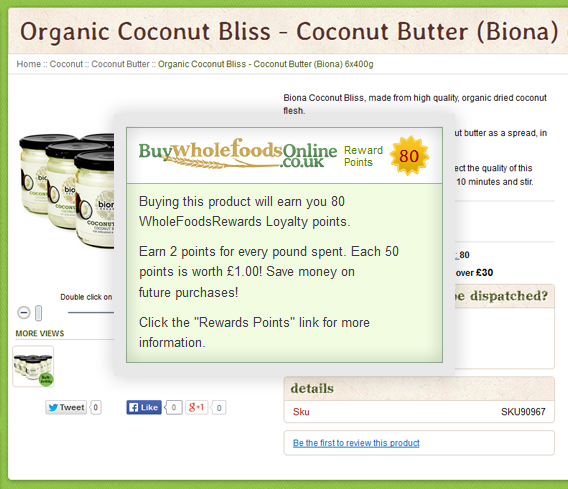 The customer loyalty system Reward Points enables to use the discount option and bonus points. 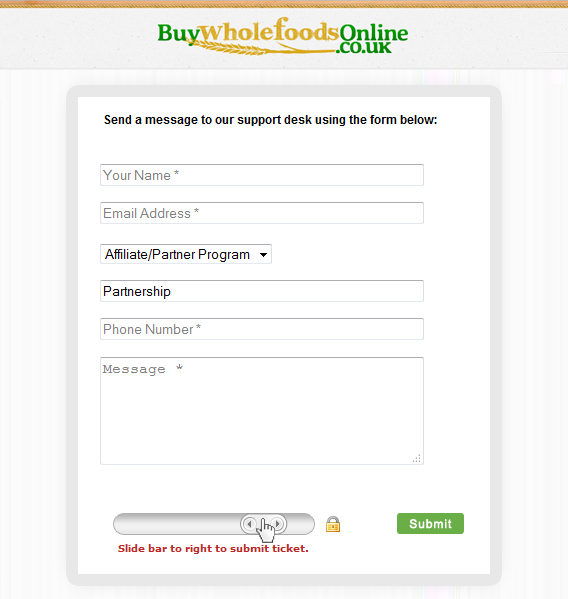 Integration with Help Desk for easy communication with the customers. Implementation of the Payment Bridge system which complying with all PA-DSS requirements. 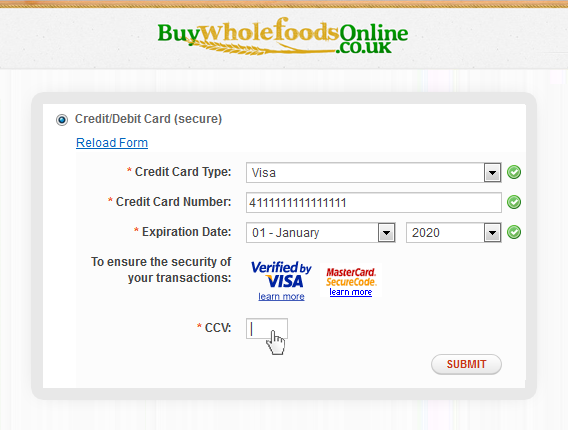 PA-DSS standard is a set of 12 detailed requirements on the safety of the card holders’ data transferred, stored and processed in the website system.